A wonderful autumn evening at Saligo Bay in October 2013. 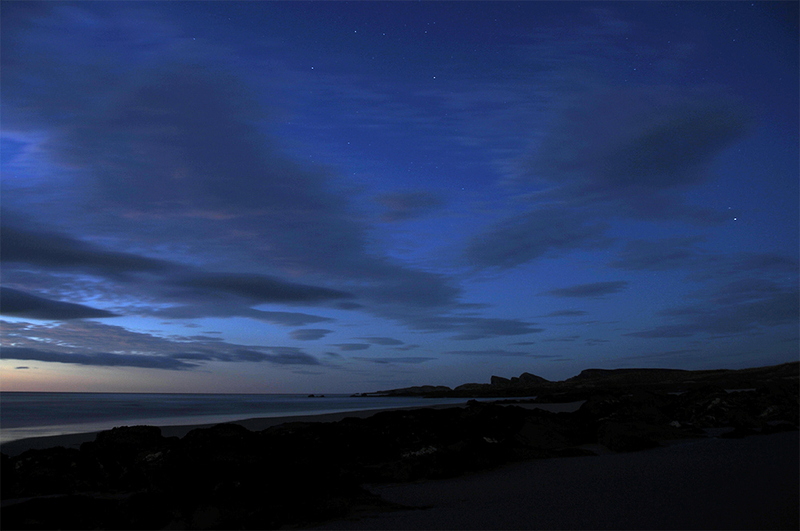 This is well after sunset, looking north with the last light slowly fading away and the first stars appearing in the sky. This entry was posted in Beaches, Cloudy Weather, Landscape, New Post, Night, Sunny Weather, Sunset and tagged Gloaming, Islay, Opera House Rocks / Sleeping Giant, Saligo Bay by Armin Grewe. Bookmark the permalink.